This study has 5 sessions, incorporating an introductory session and 4 lessons. The Study Set includes a Study Guide and a commentary, Hail Mary, Holy Bible, by Clifford M. Yeary. Clifford M. Yeary is the associate director of Little Rock Scripture Study, for which he writes and revises study materials and presents wrap-up lectures. He is the author of Pilgrim People: A Scriptural Commentary, and Welcome to the Feast: The Story of the Eucharist in Scripture, published by Liturgical Press. He is also a contributor to The Bible Today. Nothing enriches the contemplation of the mysteries of the rosary like encountering them at their source in Sacred Scripture. Five Scripture passages from the New Testament are explored for each set of the rosary's mysteries: the Joyful, the Sorrowful, the Luminous, and the Glorious. 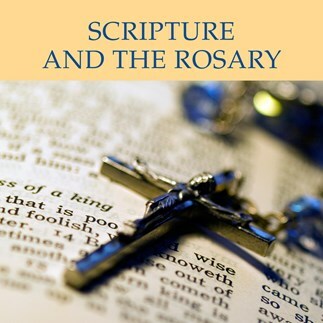 These lectures correspond to the five sessions outlined in the Study Set for Scripture and the Rosary.